After a tetanus shot, the Mini-Ductor II is the next thing you need before gutting your next worn out project car. The Mini-Ductor II is the tool you wish you had when you start to spend too long on a simple nut, bolt or bearing that has become fixed in its place. The tool is a very versatile heating tool that will go anywhere you need it to go, as it instantly heats up parts in order to break them loose. The Mini-Ductor II is an upgraded version of the original Mini-Ductor, though it is easier to hold/use and includes a LED light that faces your work area. Check out the Video Feature! The Mini-Ductor II uses a high frequency magnetic field similar to an old fashion oven, so it heats only metal – you can easily stick your finger into the Mini-Ductor without even feeling warmth. This is a bonus for those of us that don’t enjoy the heat of a torch while lying under a car. - Kit includes “bearing buddy” and a standard ¾ attachment along with a carrying case. The Mini-Ductor II comes in a kit that includes a “bearing buddy” - a loose wire that can wrap around any small object in order to heat it. It is typically used for wrapping around bearing cases in order to remove frozen bearings. Check out their SITE. 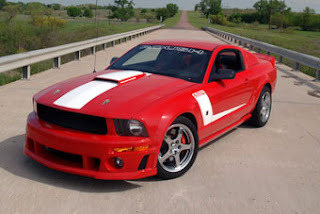 This entry was written by by JesseKiser (Stang TV Forums) and posted here on Friday, November 6th, 2009 at 3:00 am and is filed under Vintage Mustangs. This article was not written by us, rather gathered using RSS feeds listed here. We take no credit for this article. Both comments and pings are currently closed.